Positive: Beautiful design; glass cover; decent hardware; good price; nice cameras. Positive: Nice design; metal case; decent hardware; good price. The Nokia brand is a blast from the past for most of us who have had the chance to invest in mobile phones way before the era of smartphones. And now, this giant of a brand is making a comeback with many new Android-based models. Its latest offering is the Nokia 7 Plus. Powered by the Qualcomm Snapdragon 660 processor and 4 GB of RAM, the Nokia 7 Plus comes fully optimised for maximum performance. 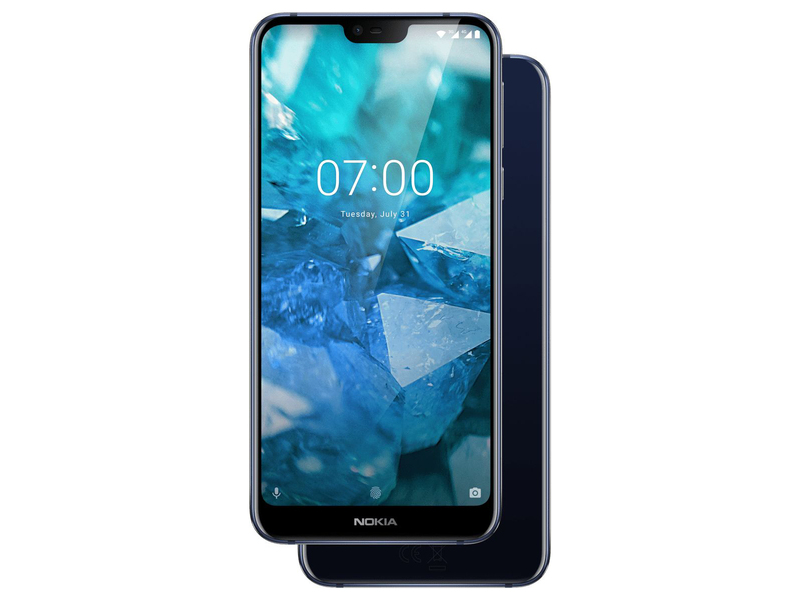 This new phone from Nokia also comes equipped with Android 8.1 Oreo, a large two-day-standby 3800-mAh battery, and an exclusive-to-Nokia ZEISS-optics dual camera - a 12MP wide-angle lens on the primary camera, and a 13MP 2x optical zoom lens on the secondary camera. The wide apertures on both cameras (f/1.7 and f/2.6 respectively) mean that taking photos in low-light conditions will be a breeze. For those who are interested in selfies, the 16MP front camera also comes equipped with ZEISS optics. 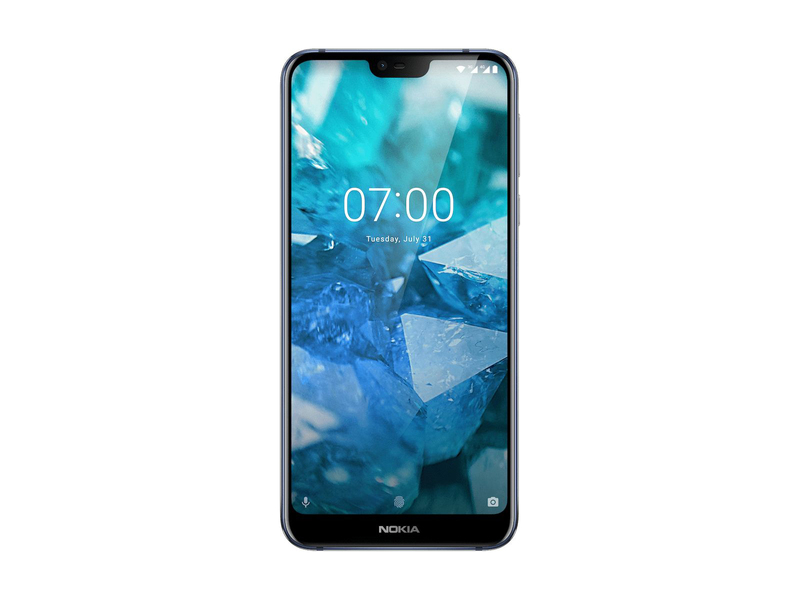 To give this phone an aesthetic edge over the sea of mobile phones we currently have on the market, Nokia gives the 7 Plus a brilliant dual-colour finish, and the ceramic-feel coating on the body provides this phone with an excellent grip - it is also easy to handle without having to worry about messy and oily fingerprints. The thin bezels of this 6-inch Full-HD IPS screen also let you view more of the content on the screen. Want to multitask? No problem - gently tap the screen, and you will be presented with two 1:1 windows. Aside from the excellent aesthetic and the powerful hardware under its hood, the next best thing about the Nokia 7 Plus is the fact that it runs on Android One. If you are unfamiliar with the term, it basically just means that the phone is running on the original version of Android without any modifications or bloatware from the manufacturer. It also means that users will get the latest security patches or updates as soon as Google releases them. Moreover, Nokia seems to be getting on with the times and decided to include what most users want on their phones - a USB Type-C port for faster charging, specifically Qualcomm’s Quick Charge 3.0. While a USB-C port seems to be the norm with technology users these days, you would be quite surprised at the number of manufacturers that seem reluctant to part with the common-but-outdated micro-USB port. Nokia used to be a great mobile phone manufacturer, and it is very pleasant to see that they have not lost their edge, especially when the market is oversaturated with so many brands - both old and new alike. The Nokia 7 Plus is stylish, well made, and the technology it comes with will undoubtedly give Nokia the competitive edge that they so desperately need to compete with other mobile phone brands. Android One smartphone. Buyers of the Nokia 7 Plus will enjoy timely software updates, stock Android and up-to-date security patches thanks to the Android One Program. Whether the new mid-range smartphone with the brand-new Snapdragon 660 can also impress in terms of hardware, you can learn in our extensive review. This is actually a great phone if you want to make some decent content and ensure it lasts the day. It felt good in my hand and did everything I needed it to. In terms of after sale support – Nokia is now run by HMD Global and they seem to have a decent presence here locally. The R5500 price tag is also rather attractive. A solid purchase if you’re looking for a new phone and… Android Pie. The Nokia 7 Plus was a phone I was really excited to get hands on. Not only because it is one of the latest devices from a brand I have followed for years, but because it was also one of the first non-Pixel phones to get access to Android 9 Pie. Nokia 7 Plus Review – Is it really the flagship hero for everyone? The Nokia 7 Plus is a flagship smartphone that can be your choice, however, there are other smartphones that better choice in this price range. From its solid design to a large display and capable camera, the Nokia 7 Plus is a great mid-range device. Similar spec competitors exist at this price, but with its 2x zoom option the Nokia has an interesting edge. If you are in the market for a new phone, one that does not cost an arm and a leg but still offers a great software experience while still looking great then you could do a lot worse than grabbing yourself a Nokia 7 Plus. This phone is a mid-range phone with high end performance in most areas. So is the Nokia 7 Plus every bit of a premium mid-range as promised? That’s a definite yes. From its stunning and premium design down to its respectable performance, the phone delivers. Couple that with an amazing set of cameras, for both photo and video, and stellar battery life and you have a complete mid-range package. You’ll definitely feel that every centavo of your Php 21,990 is very well spent. Nokia 7 Plus has 2.3GHz octa-core processor with the chipset of Qualcomm Snapdragon 660 which is considered as one of the best chipsets among all its competitors. It varies in two options with 4GB RAM or 6GB RAM but unfortunately, we have a 4GB version. It didn’t give us any lag or error and we did multi-tasking also and it has performed well in every section. The Nokia 7 Plus is billed as the phone you can rely on. It is a strange, unique selling proposition as you can rely on most phones. Still, we set out to find out why. Fantastic battery life and a big, bright screen make this the best phone from the ‘new’ Nokia. It doesn’t quite blow away the competition, but this is a very good phone with a superb screen for the price. Even if it’s a little predictable, not every purchase needs a twist. Sometimes you want something that works as intended, and the Nokia 7 Plus fits that mold nicely. The Nokia 7 Plus hits all the right spots, an important quality for a mid-ranger. While it doesn’t excel at any one particular area, it delivered good performance, images, has a nice build for the price and has solid day and a half battery life. The Nokia 7 Plus is one of the better mid-range phones on the market and has one of the best cameras on a device of its price. The design is close to premium in feel and the display is top notch (without an actual notch). As far as the processing power of the phone goes, Qualcomm’s mid-range SD660 chip is very capable. We’ve seen the lower-spec’d SD636 deliver excellent performance in lower priced phones, and we expect better performance from the faster processor. With an Adreno 512 GPU the chipset is more than a match for graphically taxing games and apps, though we will have to see how well it performs during our review process. At 25,999 rupees (~$387) in India, some of my media colleagues at the launch said that it was priced a tad high — I disagree. There’s a justifiable premium for visual appeal and dependable hardware that comes in a package with an overall finesse. For me, the Nokia 7 Plus has just the right mix of performance and aesthetics. In a segment that’s usually under-served, the Nokia 7 Plus deserves the crown. 80% Fantastic battery life and a big, bright screen make this the best phone from the ‘new’ Nokia. The Nokia 7 Plus is currently selling for 350 EUR (about $415) and is one of the best phones you can get for this kind of money if you don't mind big, somewhat blocky handsets that aren't conducive to one-handed operation. It is sturdy, well built, the copper accents add to the stylish looks, and is one of your last good options for a metal phone that is less likely to shatter when it hits the pavement sans a case. Nokia 7 Plus is priced Rs 25,999 and available in retail stores as well as available exclusively on Amazon. While the pricing might be slightly higher compared to the hardware, Nokia 7 Plus is a worthy mid-ranger with great build quality, excellent software, and performance, a good set of cameras and great battery life. With the device launched under Android One, you don’t have to worry about updates too. If you are looking for a good mid-range smartphone around 25k price, the Nokia 7 plus is probably the best choice. The Nokia 7 Plus is the best mid-range smartphone I have seen in years. And it’s shocking that after so many years, it’s HMD’s Nokia that suddenly stands tall in a segment that has been dominated by the selfie-happy class of Chinese smartphones from Vivo, Oppo and Huawei. For an everyday user this handset might just be the best horse to bet upon. This is not only because of the looks that make it captivating but also the set of specifications it delivers for that Rs 25,999 price. The 18:9 aspect ratio display is immersive, the operating system is bloat free and smooth, the processor is well performing, cameras perform well and the battery has its own plus points. If the smartphone was priced at Rs 22,000 or less, it would’ve cannibalized the market that is crowded with all the Motos and Honors at the moment. But until that becomes a reality, you can really consider this as a dependable smartphone that strongly implies it won’t go unnoticed without making a mark. So should you be going for the Nokia 7 Plus? There is no compelling reason against it, as it checks most boxes very ably. The challenge it faces is that there is no compelling reason for it, either. While it does almost everything very well, it does nothing exceptionally so. This is a very good phone, rather than a great one. And its price puts it on the cusp of the very good and the great, that middle ground that separates the more expensive mid-segment devices and the budget flagships. The Nokia 7 plus leaves the office much like it entered it - without much fuss. We found no issues with it, it cruised through the tests, it delivered in all key areas. The Nokia 7 Plus might not instantly be the best mid-range phone out there but it’s certainly going to be a tempting choice for a lot of people; especially those who don’t mind a slightly larger and heavier device. Nokia 7 Plus is perhaps the best smartphone ever made by HMD Global. It’s very well made, feels good in the hand, performs well, and has a decent camera on board. If Google ever thought of making a mid-end Pixel smartphone, it would be like the Nokia 7 Plus. At Rs 25,999, Nokia 7 Plus is a dependable smartphone in my option. Ironically, the biggest competition for the Nokia 7 Plus is not from Xiaomi or Vivo, but from the Nokia 8 which currently sells for Rs 28,000 on various e-commerce platforms. The Nokia 7 Plus upholds the iconic brand’s promise of reliability, ease of use and design innovation. The phone delivers on all three fronts with a premium metal unibody design, high-end performance and clean, stock Android. It also has a good camera marred only by slow processing speeds which could be fixed via a software update. All good things come at a price and so does the Nokia 7 Plus at Rs 25,999 but unlike last time when all the Nokia phones felt overpriced, this one manages to justify the higher asking rate. The Nokia 7 Plus would be my pick for the best under Rs 30,000 phone and I feel it outshines a lot of the other phones in this price range. The only threat to the phone is sadly from within since the Nokia 8 is available now at almost the same price. Unless HMD plans to discontinue its 2017 flagship phone, or drop the price of the 7 Plus by Rs 1,000 to Rs 2,000, I think people are going to be torn between the two. HMD Global has managed to get quite a few things right with the 7 Plus. It is up-to-date with an 18:9 display and feels like it is built to last. The company has also managed to get the right balance of performance and efficiency. The processor is powerful, yet frugal enough to get you through the day without the battery needing to be recharged. As a part of the Android One programme, the device is guaranteed to get quick software updates and security patches. However, the camera could do with some fine-tuning to improve low-light performance. From the games we checked out, it’s a respectable option if you can tolerate the smooth back that makes it tough to grip over extended sessions of play. It’s a minor quibble, but a perceptible one nonetheless. This aside, the combination of an efficient processor and solid screen is a welcome one. It will be interesting to see how it will stack up in the future, with the likes of Unreal Engine-powered fare such as Fortnite on the horizon. Right now though, if you’re planning to check out Nokia’s latest and you’re an avid gamer on the go, the Nokia 7 Plus is worth considering. Nokia 7 Plus First Impression: Will it create an impact? To conclude, the Nokia 7 Plus is certainly not a bezel-less smartphone, but it is solid and premium and you can thank the black and copper combination for that. The display looks promising and the computing power is at par with the rest of the competition. The Zeiss-powered dual rear cameras click some good photos and being an Android One smartphone, means that you will get timely updates. So enough to keep any serious buyer who likes the Nokia badge, really interested. So, stay tuned with us for a detailed review of Nokia 7 Plus. A big screen, promise of excellent battery life, relatively premium design and affordable price tag makes the Nokia 7 Plus an enticing proposition. The mid-range market is a crowded place right now, and there are plenty of fantastic options to choose from. Saying that, the Nokia 7+ has a lot going for it and I can see it being a real hit. All in all, there's a lot to like about this phone. We think that a lot of people will be drawn to its features and capabilities, as well as its build quality. We're not too sure whether the colour schemes will go down well once buyers see both options in person, and of course pricing will be a huge factor. The Nokia 7 Plus is scheduled to launch in India in end-May/ June. The Nokia 7 Plus not only pushes the mid-range specs and build quality, but it also pushes Nokia's prices up a little higher too. Sitting at €399, it's not flagship expensive - but there is a lot of competition in this mid-range from companies like Honor and Moto, both offering compelling devices in this segment. Nokia unveiled a whole bunch of phones at this year's MWC - so it says something about the Nokia 7 Plus that it's our favourite of the lot. 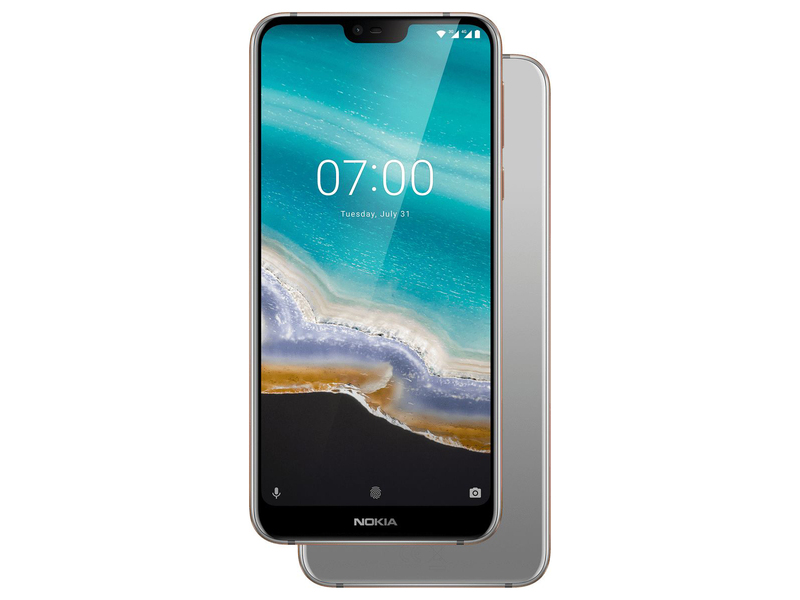 89% Nokia 7 Plus wer braucht da noch ein Flaggschiff Smartphone? Was kann HMDs neues Top-Smartphone? Positive: Nice display; good dual cameras; elegant design. Positive: Nice display; good selfie camera; great built quality. Negative: Mediocre speakers; poor main camera. 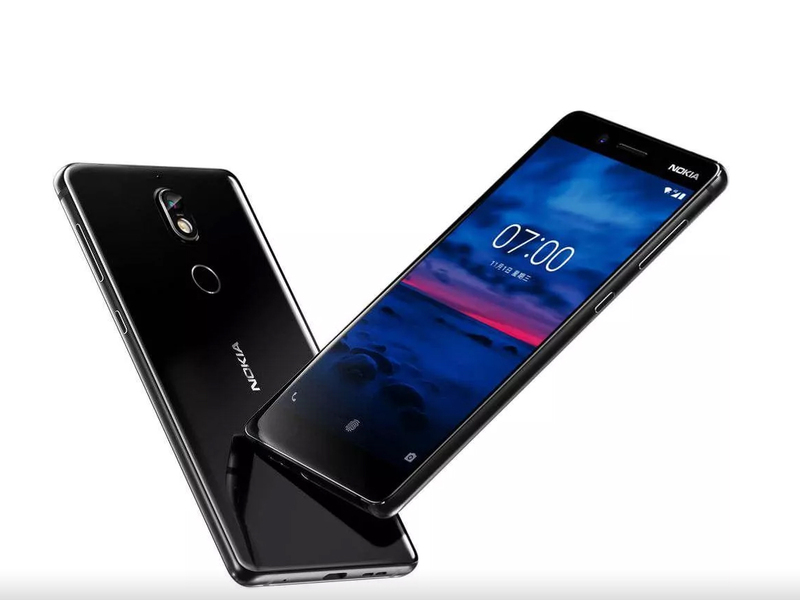 L’ex marchio finlandese è riuscito a mettere a segno un’altro centro: Nokia 7 Plus si conferma uno smartphone molto più che competitivo. Positive: Great built quality; nice performance; good cameras; high autonomy. Positive: Large screen; nice display; decent hardware; good cameras; metal case; stylish design. Positive: Good price; solid workmanship; high autonomy. Positive: Nice display; high autonomy; beautiful design. Negative: Poor main camera; heavy and bulky. Positive: Great built quality; support USB-C; microSD card slot. Test du Nokia 7 Plus : la nouvelle référence ! Positive: Good price; beautiful design; nice dual cameras. Recenzja Nokia 7 Plus. Średniak z mocnym wnętrzem i czymś więcej? Positive: Solid workmanship; elegant design; decent cameras; high autonomy. 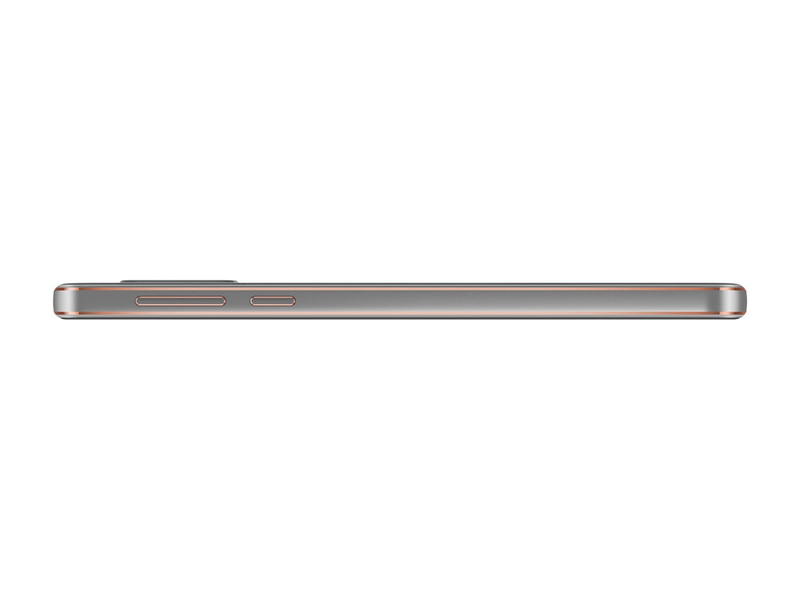 Negative: No notification LED; combined slot; unsupported waterproof IP67/68. Positive: Nice performance; nice display; support NFC. Negative: Mediocre design; poor cameras; no wireless charging. Positive: Metal case; large screen; nice display; good hardware; high autonomy; fast charging. Negative: Average performance; combined slot; unsupported waterproof and dust avoiding. Positive: Good price; elegant design; great built quality. Negative: Poor display; average cameras. Positive: Decent cameras; elegant design; large screen; nice display; good connectivity. Positive: Fast camera; nice zooming ability; good HDR mode; decent manual configuration. Negative: Incorrect balance mode. Positive: Beautiful design; nice dual cameras; decent performance; long battery life; good price. Positive: Good price; decent hardware; nice dual cameras; elegant design; good display. Positive: Impressive display; decent hardware; nice design; good cameras; long battery life. Positive: Excellent battery life; decent hardware; quick charging. Negative: Average performance. Positive: Beautiful design; good price; metal case; decent cameras. Negative: Weak hardware. Positive: Beautiful design; nice display; decent hardware; nice dual cameras. Positive: Stylish design; long battery life; low price; decent cameras. Negative: Average performance. Positive: Elegant design; solid workmanship; nice display; long battery life; impressive cameras. Negative: No LED notification; unsupported waterproof and dust avoiding. Positive: Powerful processor; nice display; large battery capacity; nice cameras; low price. Negative: Heavy and bulky. HMD's Nokia 7.1 is based on Android One, and thus free of unnecessary apps, most commonly referred to as bloatware. The result is supposed to be a minimalistic and fast system, designed to run even more demanding apps. Find out in our review whether or not this turned out to be true, and how the Nokia 7.1 did when compared to its rivals. Positive: Beautiful design; good price; solid workmanship; nice display. Positive: Impressive display; great cameras; good price. Negative: Average performance. Positive: Powerful processor; nice display; good cameras; metal case; stylish design. Positive: Elegant design; solid workmanship; nice performance; good price. Positive: Nice design; solid workmanship; good display; attractive price. Positive: Good price; elegant design; decent cameras. Positive: Good price; nice design; decent wireless speakers. Positive: Good price; nice design; decent hardware. Positive: Good price; attractive design; nice cameras. Positive: Stylish design; nice performance; decent cameras; long battery life. Negative: High price; weak hardware. Positive: Beautiful design; good price; nice cameras; decent display. Positive: Long battery life; decent hardware; nice display; good price. Positive: Stylish design; excellent display; nice cameras; fast charging; support NFC. Negative: Average performance; combined slot; low autonomy. Positive: Excellent display; support HDR mode; great dual cameras; high performance; NFC module; good price. Positive: Good price; elegant design; great built quality; nice cameras; decent battery life; fast charging. Positive: Powerful price; nice display; elegant design; good cameras. Negative: Short battery life. Qualcomm Adreno 508: Integrated graphics card in the Snapdragon 630 SoC based on the Adreno 500 architecture. According to Qualcomm "up to 30% faster graphics rendering than previous designs". Qualcomm Adreno 512: Integrated graphics card based on the Adreno 500 architecture, like the Adreno 520 in the Snapdragon 820. According to Qualcomm up to 30% faster than the previous generation (Adreno 510?). Supports DirectX12, OpenCL 2.0, OpenGL ES 3.1 + AE.Qualcomm Adreno 509: Integrated graphics card in the Snapdragon 636 SoC based on the Adreno 500 architecture. Most likely featuring a slightly higher core clock compared to the Adreno 508.» Further information can be found in our Comparison of Mobile Graphics Cards and the corresponding Benchmark List. 630: Mid-range octa-core SoC with eight ARM Cortex-A53 cpu cores at up to 2.2 GHz, an Adreno 508 GPU, a LPDDR4-2666 memory controller and a X12 LTE (Cat 13/12, 300 / 150 MBit) modem. Manufactured in the modern 14nm process. 660: Fast mid-range ARM SoC with 8 CPU Kryo 260 cores (four fast 2.2 GHz cores in a cluster and two power saving 1.8 GHz cores) and a rather slow Adreno 512 GPU. Manufactured in a 14 nm process.636: Mid-range octa-core SoC with eight Kryo 260 cpu cores at up to 1.8 GHz, an Adreno 509 GPU, a LPDDR4-2666 memory controller and a X12 LTE (Cat 13/12, 300 / 150 MBit) modem. Manufactured in the modern 14nm process. 79.78%: This rating is not convincing. The laptop is evaluated below average, this is not really a recommendation for purchase.» Further information can be found in our Notebook Purchase Guide.